One over-looked casualty of the war in Bosnia is her collective commitment to a pluralistic, tolerant, integrated society. Unconscionable violence and vicious propaganda were brought to bear against her heritage, cultural convictions, social practices, and civic order––making it next to impossible for Bosnia to sustain her multi-confessional and syncretistic-informed traditions. Tone Bringa, author of Being Muslim the Bosnian Way, writes, “Neither Bosniak, nor Croat, nor Serb identities can be fully understood with reference only to Islam or Christianity respectively but have to be considered in a specific Bosnian context that has resulted in a shared history and locality among Bosnians of Islamic as well as Christian backgrounds” (2002:31). When one considers Bringa’s statement carefully, one understands that multiculturalism is a misnomer for recounting Bosnia’s heritage. In Bosnia, there were not multiple cultures co-residing in the same vicinity. Nor were there multiple cultures coexisting independently of each other. There was a singular culture that encompassed each ethnicity and made different faiths—Catholicism, Judaism, Islam, and Orthodoxy––culturally interdependent. As the meticulous research of Andras Riedlmayer (1994) clearly demonstrates, the evil in the war against Bosnia was to eradicate as completely as possible the evidence of Bosnia’s heritage. The point was to destroy not only Bosnian communities (villages, towns, and cities), but also cultural material (libraries, mosques, churches, bridges, schools) that bore witness to the legacy of Bosnia’s heritage. What happened in Bosnia was not genocide alone–– – the willful destruction of one community or group of people within a society. What happened in Bosnia can best be described as sociocide––the murdering of a complex, progressive, enlightened society in order that a simple, regressive, bigoted society could replace it (Doubt 2000). Ivo Banac (193:138-39) makes the following observation. Together, these works open the first issue of Spirit of Bosnia. The journal is bilingual; articles will be published in both Bosnian and English. Following the example of Noel Malcolm and many others, Bosnia is used to refer to the whole territory of Bosnia and Herzegovina, and Ivan Lovrenović (2001:227-28) explains the historical as well as the philosophical reason for this decision. If Bosnia is a name for any kind of identity, its content is not the mathematical sum of nations or national cultures, nor is it their drowning in a new (supra) national construction. Its content lies in permanent cultural interaction. The name Bosnian is thus not a term for a national order, nor only a regional or territorial one. It is a name for the process of civilization we have described, something which through all historical changes and political adversities has lasted for a millennium, to an equal degree practiced in everyday life with equal vitality by all. In this process of interaction as a constant (its name is Bosnia) national cultures participate as variables, retaining their special identities and exposing themselves to continuous culturecreating relations of receiving and giving. In practice, every national culture in Bosnia is both what it is by name, and something more. Banac, Ivo. 1993. “Separating History from Myth: An Interview with Ivo Banac,” in Why Bosnia: Writings on the Balkan War, edited by Rabia Ali and Lawrence Lifschultz. Stony Creek, CO: Pamphleteer’s Press. Bringa, Tone. 1995. Being Muslim the Bosnian Way: Identity and Community in a Central Bosnian Village. Princeton, NJ: Princeton University Press. 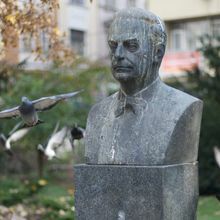 Lovrenović, Ivan. 2001. 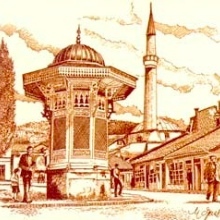 Bosnia: A Cultural History London, England: Saqi Books. Malcolm, Noel. 1996. Bosnia: A Short History. Washington Square, NY: New York University Press. 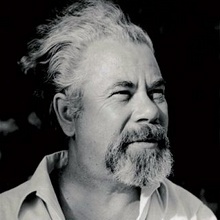 Riedlmayer, Andras. 1994. Killing Memory [Video Recording]: Bosnia’s Cultural Heritage and its Destruction. Haverford, PA: Community of Bosnia Foundation.